It is said that “The clothes make the man” and this may well be true in some instances, but if the clothes were custom tailored for exactly that man at Bonaventure Tuxedo it is true! "If the suit you bought off the rack isn't becoming to you? you should be coming to us." Bonaventure Tuxedo offers one of the best custom tailors in Long Island in its convenient Mineola location. Custom Tailoring is an art and we offer one of the best around, a bespoke tailor with a large selection of bespoke suits, tuxedos, shirts, and more. Specializing in all areas of alterations, custom made suits, custom tuxedos, custom made shirts, pants and overcoats. 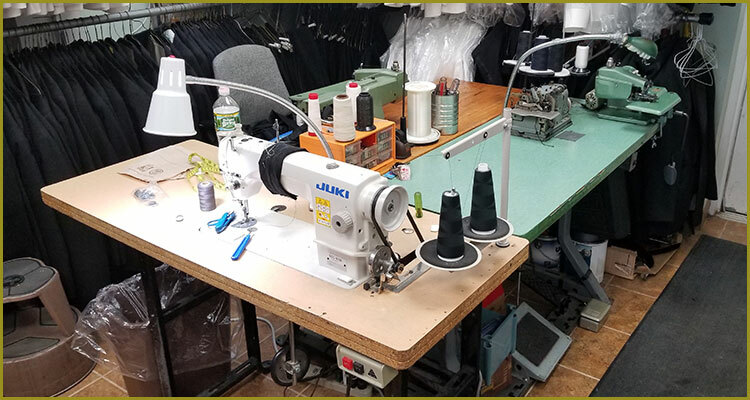 At Bonaventure Tuxedo we do not outsource, and we offer a fast turnaround on all custom and bespoke tailoring which is done on site in our Mineola show room. We are passionate about bespoke tailoring as an art form, and we are excited to show our passion to our clients. We make sure that you're 100% satisfied with our custom tailoring work before you leave our store with your garment.